Last week's €3bn Budget giveaway means the Government looks set to fall foul of European authorities who have stridently warned of the dangers of a fiscal bonanza. The Government has played down suggestions that the Budget could be rejected by Europe, but it is clear there is significant unease about the make-up of the final figures. The European Commission (EC) is due to issue its verdict on the Budget in two weeks' time, but warned the Government of the dangers of "deviating" from the required path of reducing the national debt. In its latest report on Ireland, the commission issued a hard-hitting warning that the Government was not doing enough to reduce the debt and contain spending. "There appears to be a risk of a significant deviation from the required adjustment towards the medium-term objective in 2016, and further structural measures will be needed in that year," it warned. It went further and said Ireland was at risk of "not complying with the provisions of the stability and growth pact". The commission also admonished the Government for not supplying enough detail to it for how it intends to stay within new European debt rules from 2016 onward. "Measures to support the planned deficit targets and progress towards the medium-term objective from 2016 onwards have not been specified in sufficient detail," it said. The report also highlights the fact that Ireland has one of the highest proportions of people living in low work intensity households. This, it says, generates serious social challenges and raises the risk of child poverty. The EU Commission report, published recently but not reported upon, reflects the unease within Europe at Ireland's excessive debt levels and lies behind the repeated calls to avoid Budget give-aways in favour of paying down the national debt. 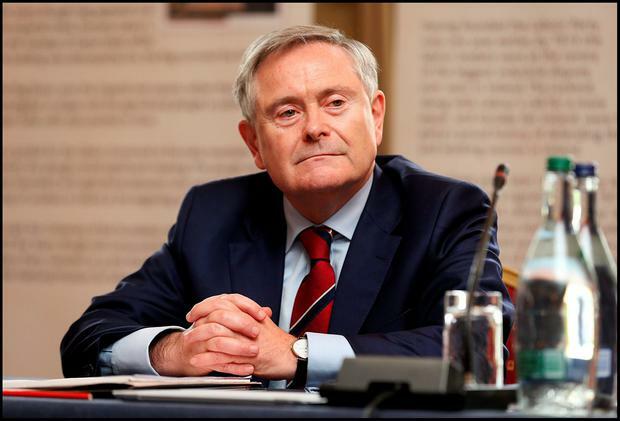 A spokeswoman for Public Expenditure Minister Brendan Howlin said that under the rules Ireland was required to improve the debt by 0.6pc of GDP. "Budget 2016 estimates that the structural improvement in 2016 will be 0.8pc of GDP, which is greater than the 0.6pc minimum requirement," she told the Sunday Independent. The news comes amid controversy around the warnings expressed by Prof John McHale, chair of the Irish Fiscal Advisory Council, over the use of €1.5bn in supplementary estimates, or end-of-year bailouts for several government departments including Health, Education and Transport. Prof McHale said that he stood over a warning he issued over the level of overall spending in Budget 2016. His comments come after the fiscal council was required to issue a statement after he said on RTE's Morning Ireland programme that Budget 2016 could break stringent European rules. Hours later, he had to withdraw the charge. The council conceded Prof McHale had made an error when suggesting the Government was obliged to cut the underlying structural deficit in the public finances by more than set out in the Budget. While the Budget assumes a 0.8pc of GDP cut in the deficit, Prof McHale had said a 1pc was required. On Thursday, Prof McHale said the council had not changed its position on concerns in relation to spending. "We haven't changed our position on that at all and I hope that hasn't got lost in the controversy that followed." He added he was worried about the adoption of supplementary estimates for a number of departments this year which would roll over into allocations for 2016. Paul Melia It was a Budget which promised much, especially in light of a Government commitment that Ireland would step up and take meaningful action to address climate change. Paul Melia Forthcoming increases in the local property tax (LPT) will be 'affordable', the Government has claimed. This has not been a good Budget for the environment.